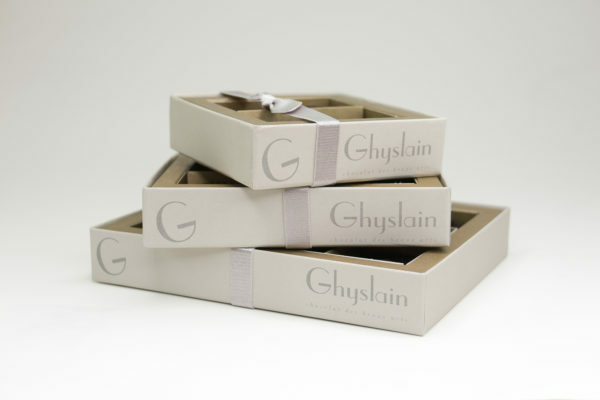 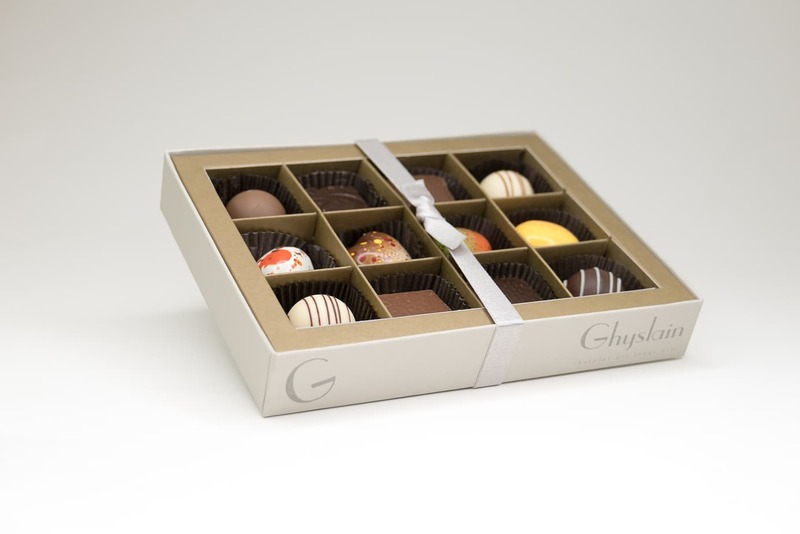 Our handcrafted Le Montage chocolate assortments give you an array of enchanting pieces taken from four popular Ghyslain boxed collections. 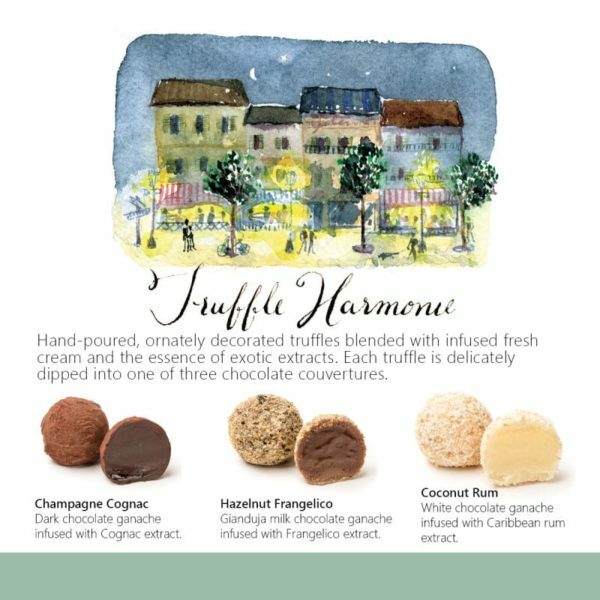 Chocolates are randomly selected from the Truffle Harmonie, Collection de Caramel or Ghyslain Signature collections. 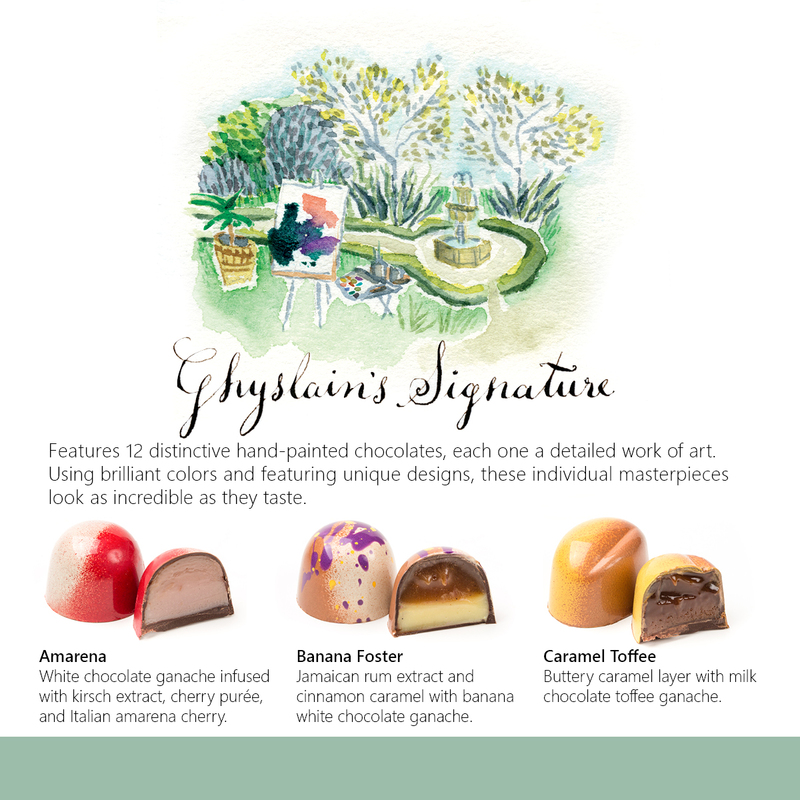 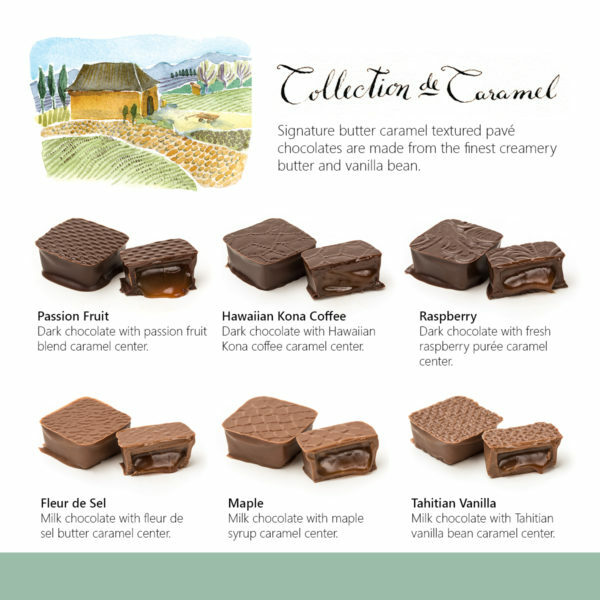 Try a variety of Ghyslain’s artisan chocolate with the Le Montage collection. 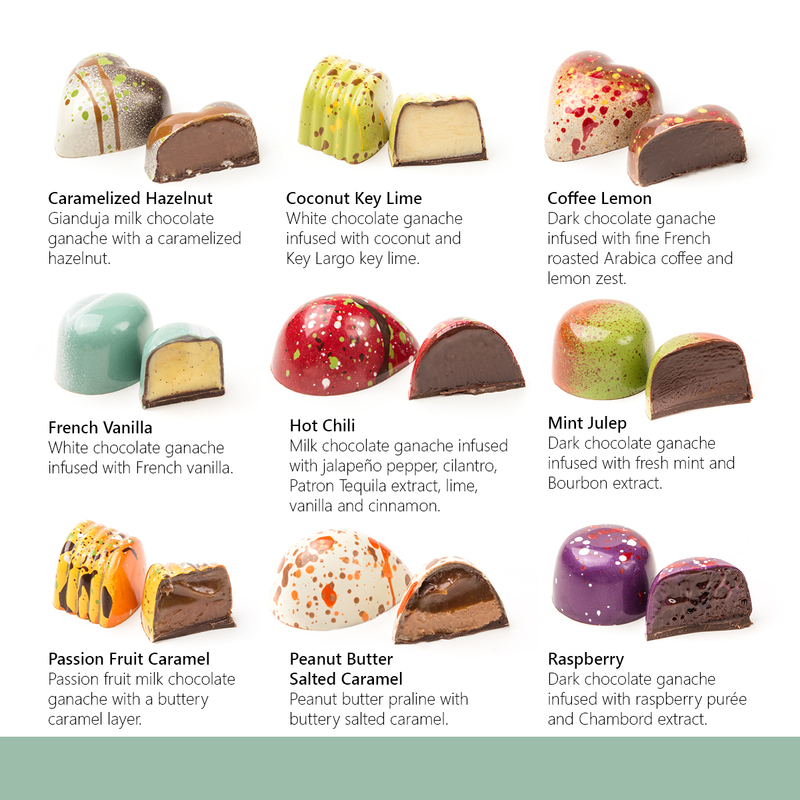 All pieces are randomly chosen for Le Montage collections. 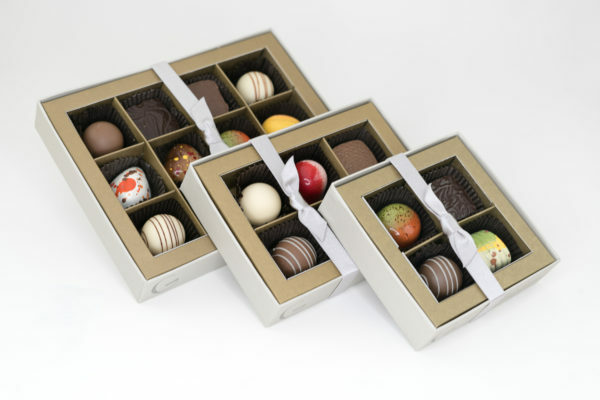 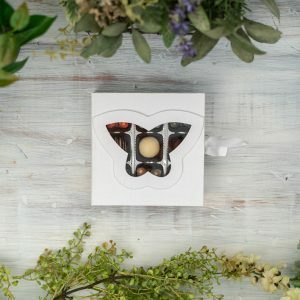 Le Montage assortments are not simply a mixture of our delicious chocolates. 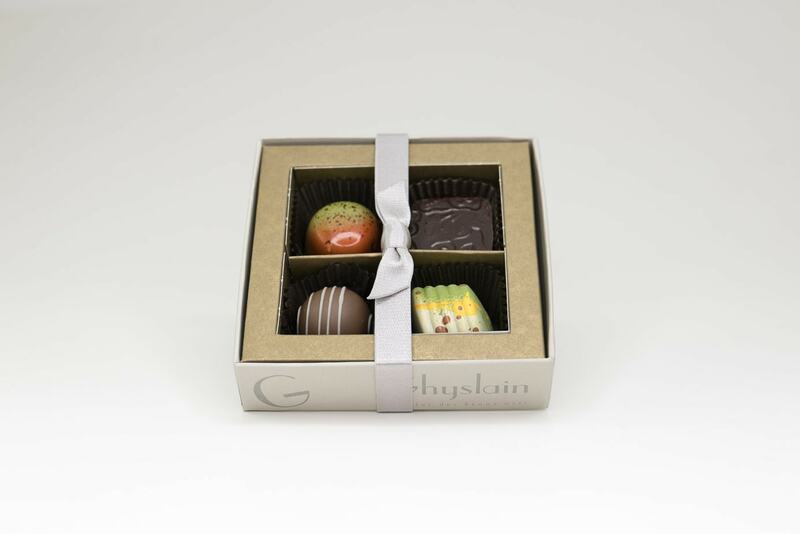 The collection was introduced by Ghyslain for those who enjoy the element of surprise — a simple delight we love to share with our customers. 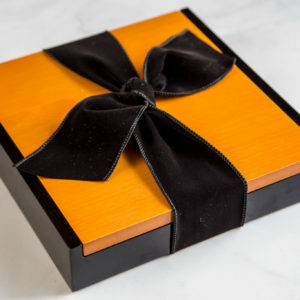 There is no peeking inside of a Le Montage box, but there is a hand-picked selection of chocolate artistry hidden inside that you’re sure to savor. 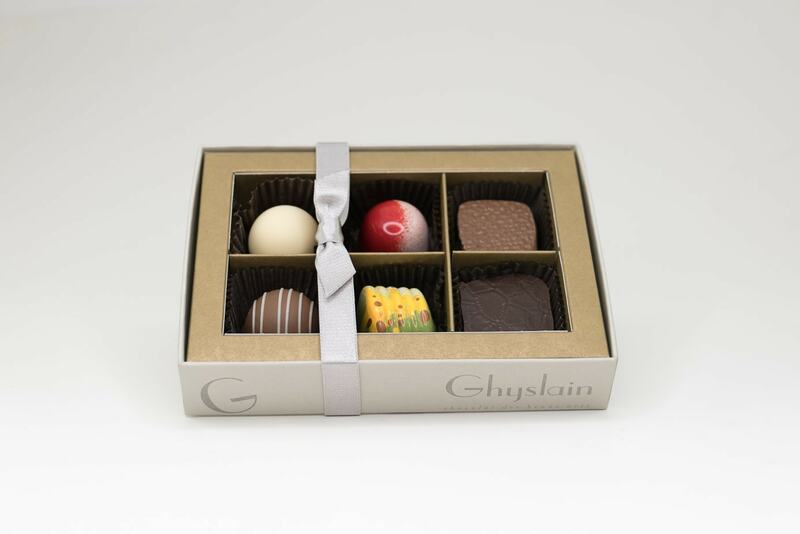 There is no better way to introduce yourself and those you care about to Ghyslain’s gourmet chocolates than with Le Montage collection. 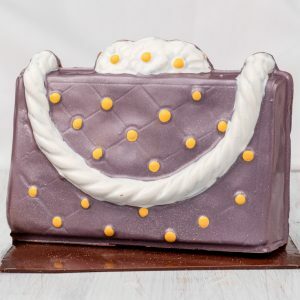 Delight your friends, family and coworkers with an unmatched variety of unique tastes perfect for any occasion. 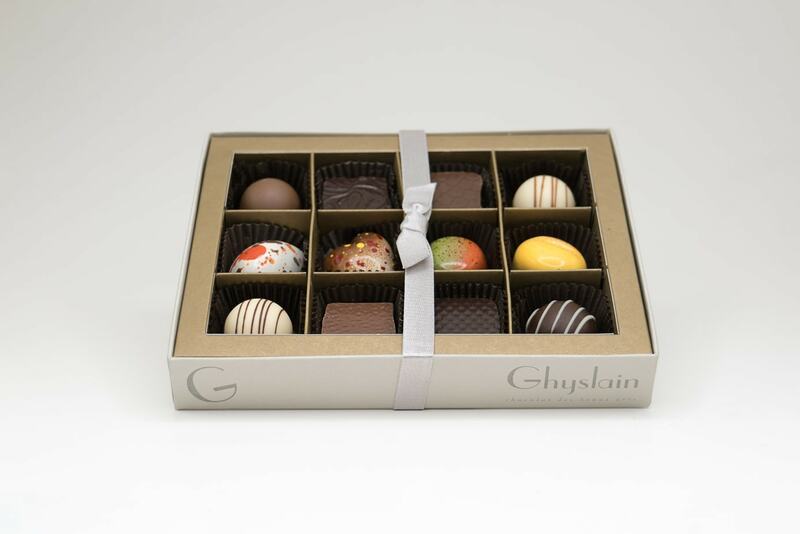 Whether you simply cannot settle on one variety of Ghyslain fine chocolate or you want to share the pleasure of your indulgence with others, Le montage is a selection you’ll always be glad you made. 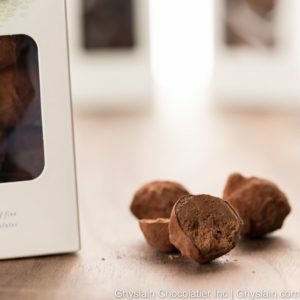 Ingredients: dark chocolate (cocoa mass, sugar, cocoa butter, SOY lecithin an emulsifier), natural vanilla flavor), MILK chocolate (sugar, cocoa butter, milk powder, cocoa mass, skimmed milk powder, SOY lecithin an emulsifier, vanilla flavor), white chocolate (sugar, cocoa butter, milk powder, skimmed milk powder, soy lecithin an emulsifier, vanilla flavor), butter (pasteurized cream milk, natural flavoring (lactic acid)), cream (milk), Amaretto extract, Baileys Irish Cream extract, banana extract (glucose syrup, sugar, banana puree, coloring from food (safflower, lemon, apple, carrot, pumpkin), acidity regulators, citric acid, disodium diphosphate, tricalcium phosphate, stabilizers, pectin, locust bean gum, flavoring, antioxidant, ascorbic acid), bourbon extract, brandy extract, brown sugar, sugar, Chambord extract, cilantro, cinnamon, cocoa powder, COCONUT, coconut milk (coconut extract, water, citric acid (as antioxidant), sodium metabisulfite (as preservative), coffee extract, crÃ¨me de menthe extract, espresso extract, Frangelico extract, fresh mint, glucose, Grand Marnier extract, HAZELNUT, honey, jalapeno pepper, Jamaican rum extract, Kahlua extract, key lime juice, lemon zest, lime zest, maple flavoring, passion fruit juice, Patron tequila extract, PEANUT, peanut butter (dry roasted peanuts, dextrose, hydrogenated rapeseed and cottonseed oil, salt), raspberry extract, salt, vanilla, potassium sorbate (a preservative), Cocoa Butter and 1 or more following FD&C Lakes or Dyes: Blue 1, Blue 2, Red 3, Red 40, Yellow 5, Yellow 6, and or Mica Titanium Dioxide. 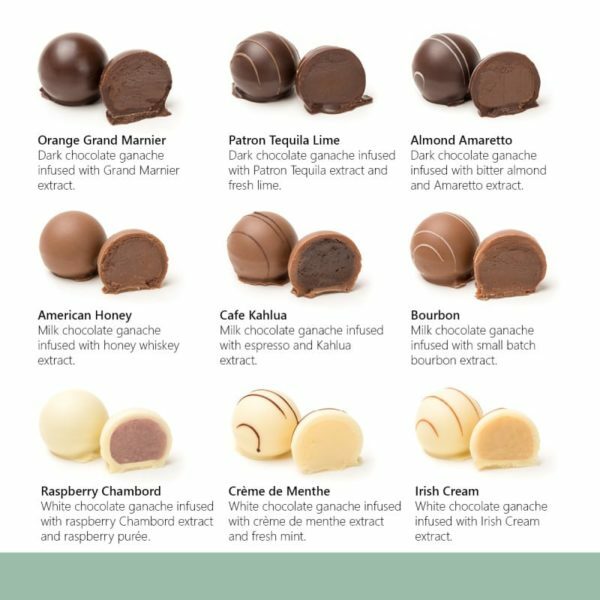 This product contains less than .5% alcohol content.